With the devastating losses of life and the destruction of property in California’s wildfires, we remember the victims while sharing actionable steps to protect life and property from this catastrophic event—and how to insure against the damages that can’t be avoided. Should you find yourself in the path of a quickly-moving wildfire or experience a fire in your home, priority one is getting to safety. Even young children can take part in conversations about emergency plans for escape. Begin by learning how officials in your area communicate fire emergencies, and ensure you can receive alerts on your phone or through another device. Discuss what the next steps would be, how to get out of the house itself, and where your family would go in the event of a fire. Set two meeting spots. One near your home where you can all gather in the event of a home fire. Set a second meeting spot in the event of widespread fires requiring you to leave the area; perhaps a community center, friend, or family’s house. Practice your plan and go over it every month or so. Especially when fire risk is high or if you live in wildfire-prone areas, make sure everyone in your family has a hard copy of contact information (including for doctors, neighbors, and schools) to carry with them. You can take steps now to increase your property’s chances of surviving a home fire. This includes not only the house itself but the landscaping around it. Anything attached to the house (decks, porches, fences, etc.) is considered part of the house when it comes to the way fire behaves. Use non-flammable or low-flammability materials in any new construction, especially decks, roofs, siding, and windows. Repair or replace loose shingles on the roof. Caulk gaps along the roof’s edges. Close up any gaps in the home exterior. Cover attic, under-eave and soffit vents with small wire mesh. Defensible space refers to the buffer created between a building and the grass, bushes, trees, and other growth around that building. The purpose of defensible space is to slow or halt the spread of fire, which can move with direct flame or even radiant heat. It also creates a safer environment for firefighters on the scene. Zone 1 extends 30 feet from the building and any structure attached to it. Keep Zone 1 free of dead and dry vegetation, branches hanging near buildings, and flammable items stored by trees or shrubs. Zone 2 extends 100 feet from the building or any structure attached to it. Keep grass at four inches or lower and maintain space between trees and shrubbery. Things dropped by trees (leaves, needles, pine cones, etc.) should only reach a depth of three inches or less. For those exterior pieces attached to your home, be certain that flammable debris is cleared away to create a defensible space—this means the dead leaves and pine needles that collect in gutters and on decks, as well as on outdoor furniture, doormats, and portable propane tanks. For landscaping near the house, replace mulch with gravel and stone. Ensure that firewood piles, compost, and dead vegetation are stored well away from the house. Grass and shrubs should be well-watered and trimmed to reduce flammability and fire intensity. Finally, prune low-hanging tree branches. For tall trees, keep branches between 6 and 10 feet from the ground. For shorter trees, prune branches up to no more than one-third the height of the tree. Consider discussing these details with nearby neighbors to increase the defensible space around your property. No amount of preparation can guarantee that fire won’t damage some or all of your property if you are in the path of a wildfire. Your next line of defense is a solid insurance plan. Consider the limits within your plan for both the house itself and your personal property. For the house, you need a sum sufficient for rebuilding the house at current building costs. For the movable items, you need a sum sufficient for replacing the lost items with new ones. Keep an inventory of the valuable items in your home, and make certain it’s current after major purchases. A written copy is great, as is a video walk-through of your home. Of course, any inventory record should be kept in a fire-proof safe or, better yet, offsite. If you want to ensure your property is protected in the event of a fire, seek out insurance providers offering help from wildfire defense programs. This proactive measure partners your efforts with teams specifically designed to defend you from wildfires. Conduct an onsite wildfire hazard assessment and make recommendations for increasing defense. Take preventive measures as a wildfire approaches and deploy local firefighters. Remove fire-blocking gel when the threat is passed and help with clean-up and claim processing. Certain policyholders may receive these services free of charge, so be sure to check with your broker to learn if you qualify. Don’t wait—now is the time to prepare and talk to your broker if you live in an area prone to wildfires (and even if you don’t). The hope is that your defense plans never need to be used, but if they do, taking these steps can make all the difference when it comes to protecting your property. 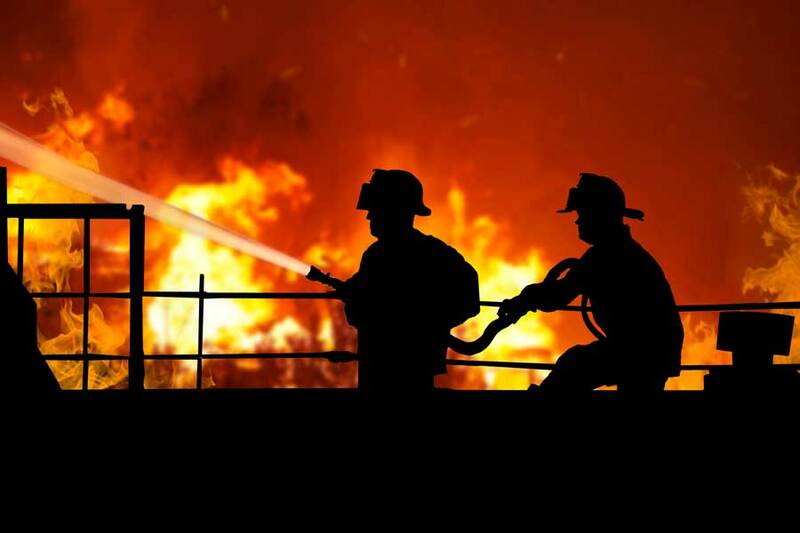 For more support, contact Woodruff Sawyer to discuss how you can protect your home and loved ones from fire and recover if one breaks out. Kevin co-leads our Private Client Practice to develop growth strategies and solutions to meet the needs of clients. With over 15 years of experience insuring the complex lifestyles, liability, and personal property assets of successful executives, business owners, and families of wealth, Kevin has a proven track record of innovation, production, and strategic leadership in the private client area.